Breathe easy in your baby's nursery knowing you have back up with the Arm & Hammer Diaper Pail Bag Refills. 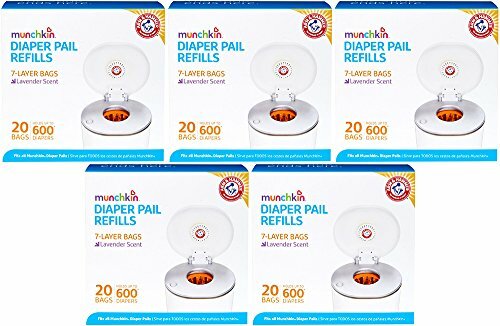 These 7-layer snap, seal & toss bags are made to fit all Munchkin Diaper Pails - STEP, PAIL and the original Munchkin diaper pail. The lavender-scented, odor busting duo of baking soda and self-sealing technology keeps baby's room smelling fresh.